Any form of undertaking needs thorough planning and discussions, asking as many questions as possible for more information. This is where project management comes in; as it ensures success by determining the necessary tasks and phases to complete a venture. It is crucial in any business and sets up the whole picture of the project to address and enable all the components needed. A more official definition comes from the Project Management Institute (PMI), which states, “project management is the application of knowledge, skills, tools, and techniques to a broad range of activities in order to meet the requirements of a particular project.” Indeed, project management involves more than just overseeing a venture but also knowing what happens during every phase in the cycle. A project undergoes a cycle that is composed of high-level processes that need to be implemented to deliver success. The project cycle needs to be overseen for it to achieve on time and on budget results. Additional research from PMI showed that for every $1 billion invested in projects by US companies, $122 million goes to waste due to poor project performance. What work must be accomplished? Who will be a part of the project team? How to monitor and control each phase? By streamlining the process with what must be delivered, you are making sure that you address every facet of a specific project. These questions can also help you identify loopholes and solve them immediately. 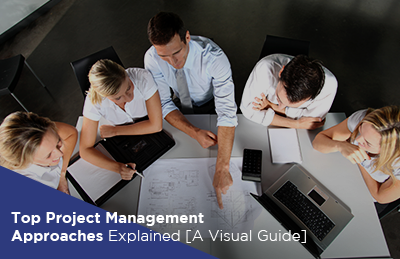 The elements are organized, timely, and exact processes that benefit the project stakeholders and helps the project managers (PMs) define what needs to be done before moving onto the next phase of the project. PMI also developed these five phases of the project life cycle. Although they standardized the process, the PMBOK Guide recognizes the uniqueness of each project. Whether you have a small project with modest goals or a large initiative with an equally large budget and implications, understanding the life cycle is essential, especially in keeping your project organized and on track, from ideation to end. The first phase of a project is the identification of a business need, problem, or opportunity, and finding a way to solve it with your team. The PM will call a kick-off meeting with the client to understand the goals and objectives of the project, as well as know their expectations from it. Your team must ask as many details as you possibly can to have the answers that will help you along the way. Who are going to be the potential partners? Business Case Document: indicates the estimated potential financial benefits to justify the project. Feasibility Study: discusses the project requirements and goals to see if it is executable with the available resources, timeline, and costs. Stakeholders will then decide if the project is a “go.” If a project is unprofitable or unfeasible based on these evaluation tools, teams will abandon the proposed projects. However, projects that do get a green light can now be assigned to a group or designated office. The project manager will then create a project initiation document to outline the purpose, requirements, and deliverables. The project moves on to the planning phase, as you need a guide for your team to keep everything in check (time and budget), all while producing quality output and handling risks. The plan will help your team understand the project and its cost, scope, and timeframe. This will also help them prepare for any possible constraints they may encounter. A project plan should also include notes on obtaining resources that will aid in task completion such as financing, and required materials, including tools like software and hardware. More importantly, crafting the plan should involve setting goals and responsibilities to its members. There are two approaches in goal setting that PMs can take. Specific: have answers for every what, who, where, which, when, and how. Measurable: have specific criteria to measure goal success. Attainable: identify what it will take to achieve the goals. Realistic: set doable and achievable goals within a given time, and have the willingness and ability to work for it. Time-bound: a schedule of when the goal should be achieved (preferably not longer than ten days). Collaborative: should foster teamwork between employees. Limited: time and scope should be controlled to keep it manageable. Emotional: for quality output, it must be something that employees are passionate or something that they can connect with emotionally. Appreciable: can be broken into smaller tasks. Refinable: can be flexible depending on changes in the situation of today’s fast-paced business. Scope Statement: This defines the business needs, benefits, objectives, deliverables, and key milestones. It may change as the project goes on, but only with the approval of the PM and sponsor. Milestones: These are the high-level goals to achieve throughout the project. Communication Plan: Defines the proper messaging around the project, as well as the schedule of communication with the team based on deliverables and milestones. Risk Management Plan: Identifying all possible risks, like unrealistic time, customer review cycle, budget cuts, varying requirements, and lack of resources. Work Breakdown Schedule: A breakdown of the project scope into manageable sections. The fourth phase is sometimes combined with execution because progress monitoring should be done along with it at the same time. 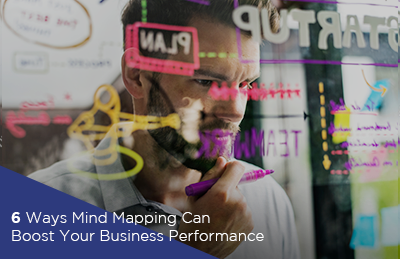 However, some businesses place performance monitoring and control on a separate phase because of its magnitude. Performance monitoring and control are all about checking the alignment of the project’s progress and overall performance with the management plan. This is also the phase where KPIs are calculated, scope creep is prevented, and changes in budget allocation and time are tracked. Constant vigilance helps progress the project smoothly. Objectives: Staying on schedule and budget may be an indication that the project will meet the expectations of decision-makers and clients. Quality deliverables: Determines if deliverables are being met. Effort and cost tracking: Accounting the efforts and cost of resources. The final phase of the project merely is its completion, or when the project is closed, results are delivered to the customer, and end is communicated to the stakeholders. The last phase also calls for a post-mortem meeting. 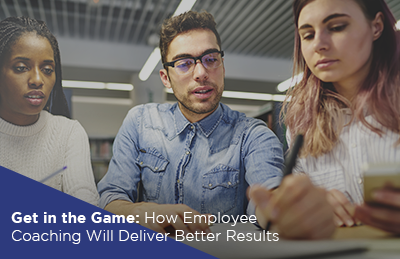 PMs call for this meeting to go over the finished project—identifying its strengths, digging up what went wrong and how it can be rectified, addressing valuable team members, and going over what the team learned. This vital phase allows for evaluation and documentation, and with the available information, you’d be able to move on the next project using the previous one’s success and mistakes to build stronger processes and better teams. Don’t neglect this phase, as a post-mortem will help you approach future projects with more eagerness and commitment. Other tasks include the analysis of the project performance to determine if the goals were met on time and on budget, and accounting the used and unused budget so that the remaining resources can be allocated to future projects. Aside from calling a post-mortem, PMs have other tasks to complete in this phase. This includes the creation of punchlist, or things that didn’t get accomplished to allow the team to achieve them, and preparation of the final project report and budget. Managing people and projects require more than just common sense. As with any business moves or decisions, you would need more knowledge and a deeper understanding of processes and methods. This may sound overwhelming but breaking the project cycle into five easy phases can help you and your team manage any project. Of course, not all projects would go smoothly, and you may experience failures and mistakes. The important thing is that you learn from it to make better decisions and plans for your next undertaking. In addition, you can also attend seminars like Guthrie-Jensen Consultants’ Effective Project Management seminar to master the management framework and lead your team to success.